A cryptocurrency is a form of digital currency that uses cryptography for the purpose of security. The currency has rapidly gained popularity in the public eye. 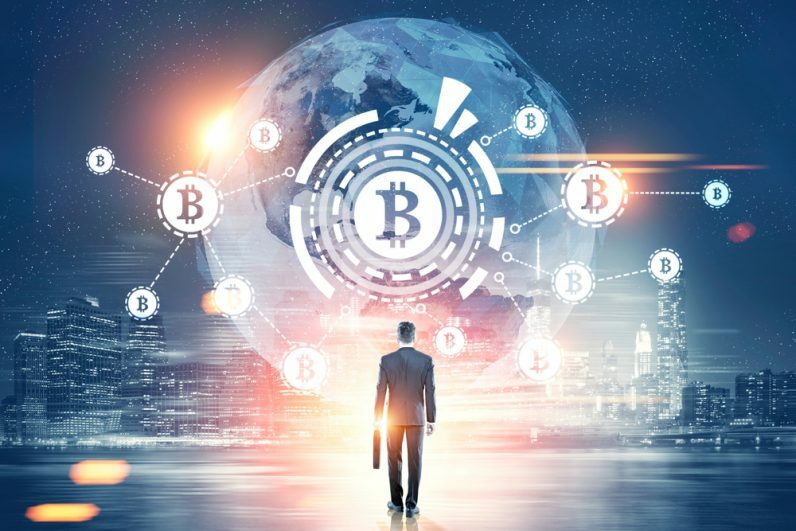 There are many types of cryptocurrencies that include Bitcoin, Ethereum, Ripple, Bitcoin cash, Litecoin, Cardano, and Stellar Lumens among others. While bankers have been against cryptocurrencies, they have incredible benefits over regular currencies. The banks are often citing the extreme volatility of this currency and their potential to be used for money laundering. The rate at which cryptocurrencies are growing over the last few months has filled bankers with abhorrence. Here are the main reasons why bankers are against cryptocurrencies. As of 16th February 2018, the crypto market has a market cap of $470 billion, with BTC price breaking above $10,000. This exceeds that of JPMorgan Chase, the largest bank in the United States. The market cap for Bitcoin alone compares to Bank of China’s. Ethereum follows this with a market cap comparable to Morgan Stanley. The bankers are worried that the rate at which crypto market is growing will have a serious impact on their operation. The banks seem to fight cryptocurrencies to slow down their growth rate. Many banks have recently banned their customers from purchasing cryptocurrency with their credit cards. This is a major move to slow down the growth of the crypto market. Last year, Bitcoin has tremendously increased from $1000 to $20,000 within the 12 months. However, according to a recent investigation, this value has decreased by more than $1000 over the past week. Recent fall in price has led to some analysts speculating that Bitcoin might have experienced bubble bursting in late 2017. Michael Jackson a Bitcoin expert dismissed such conclusion claiming that it is just a blip. He claims that it’s yet to reach the upper limit, which will be 100 times more worth than it is today. Jamie Dimon, JP Morgan Chase CEO, once branded cryptocurrency “a fraud.” He later appreciated the underlying blockchain technology and regrets making the negative comment on Bitcoin. He also insists that he is not interested in the topic though he has frequently made public comments on the same. It is interesting to see JP Morgan buying Bitcoin-based ETFs on the European exchange. Increase in value of cryptocurrency will attract many people to using it instead of regular currency. As a result, the bankers’ operation will be disrupted. Cryptocurrency being decentralized will not require a third party to make the transactions. This is contrary to what the bankers do. As I said earlier, cryptocurrencies are rapidly growing and bankers fear they might lose control over all money. If many people turn to the cryptocurrency, bank customers will reduce and hence the income will go down as well. And there are already many crypto telegram signals, that helps the new trader in the crypto game to invest more efficiently. The bankers fear that this new technology might replace them. Seeing cryptocurrencies as a competitor and not as a contributor is a major reason why bankers hate cryptocurrency. Transferring a huge FIAT over long distances requires more time. With this new technology, it will only take a few minutes to transfer equivalent cryptocurrency. This means bankers will no longer have control over the economy. Most of the cryptocurrency investors deposit large amounts. The bankers have a duty of investigating the funds to ensure that they are clean and not sourced from illegal activities. They carry out a thorough investigation on the source of the funds and the beneficial owner on the account. Additionally, the banker has to ensure that the account owner in a tax compliant. If you are from the US, the bank has to send a report on the transaction to the US IRS. For those in EU, the bank must comply with OECD CRS reporting requirements. All this requires time and resources, which banks are not ready to incur. Cryptocurrencies are essentially new to many and the blockchain technology is complex and complicated to understand. As a result, many bankers get upset with it and tend to think of it as bad. They fail to understand the features and potential the blockchain present to them. Just as a new gadget such as a smartphone. At first, people tend to despise the new technology in the gadgets. This is not because they do not like it, but because it’s new, complicated, and may be overwhelming to use. In this case, some bankers have no idea on how this new technology works. It is unfortunate that those who understand it, hate it. The other reason why bankers might hate cryptocurrency is that tracking the source of funds is impossible. There is no way that they are able to investigate the funds when sent from the cryptocurrency wallet to the bank account. With this, they cannot tell whether the money in your account is clean. The bank could be liable for ill-gotten gains in their system. Therefore, they view this as high risks as they cannot prove how the funds were earned. Another factor that makes bankers hate cryptocurrency is that it will ripple across the financial sector. If FIAT money comes to an end, the banks are likely to close down. What bankers fear the most is to lose their jobs since there would be no financial income. To earn a living, every person needs a job. Bankers also fear that they might not have something else to do. If at all cryptocurrencies will surpass the banks, they will become outdated. The bankers will be forced to look for other jobs, which might require them to study another career. Cryptocurrencies remain a big threat for bankers. It’s overwhelming how fast the crypto world is growing in the past few months. There are hundreds of ICOs and enormous fluctuations in major cryptocurrencies such as Bitcoin and Ethereum. Despite this being a big hurdle for banks, it is what many investors love. However, not all bankers hate cryptocurrency. Some have already invested in cryptocurrencies. In future, the FIAT money controlled by bankers is likely to change. According to many analysts, cryptocurrency will be the new way of buying and exchanging products and services.